1. The solenoid is driven by 12v (switched via PWM to ground). 2. The cam swings approximately 45 degrees, and rests 'fully retarded'. 3. It is controlled by the Ford ECU. 4. Simply driving it with a PWM freq. will not work as oil pressure/temp/wear etc will effect the VVT valves flow, and hence cam position. 5. The Ford ECU monitors the cam position in relation to the crank position and then uses a PID control loop to Adjust the PWM duty to reach the desired cam angle, looked up in a map that is defined AT LEAST by RPMxLOAD. 6. VVT actuation does not begin until at least 1300 RPM. With this in mind it is clear to see that our system delivers higher torque at ALL points in the rev range as we can precisely position the cam (and map it to other modifications such as exhaust and intake etc) and get THE best from the engine, and not compromise with a simple 'RPM switch point'. Stay tuned for some more info! As can be seen in Fig 1, there is massive lack of power across the rev range with some losses of torque in the region of 50 lbs/ft... so that's obviously a NO GO method of setting up your VVT. Fig 2: Turning the VVT solenoid fully on at 2250rpm. Good to see someone doing some actual research instead of just trawling the internet for 'so and so says..' then regurgitating it! Really good explanation and results a post that is easy to read and understand! It will be great to see the results in a Mk1 with carbs. Will be looking to sponsor in due course once the product is available for general sale. 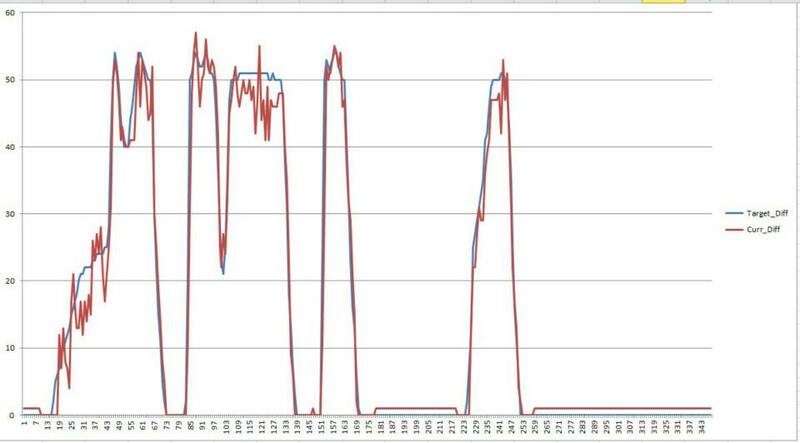 I think you are seeing the power loss due to the oe ecu going into limp mode. Not the best way to make direct comparisons . Is the Vvt actually operating? Are you able to observe advance ? Your figures of cam advance are miles off what I see when mapping MBE or DTA . Sorry to be so negative but on std engine with manifold and ported head and slight hike in cr I am seeing 186bhp 171fbs torque. With 180bhp still being produced at 7500rpm . Corrected figures. 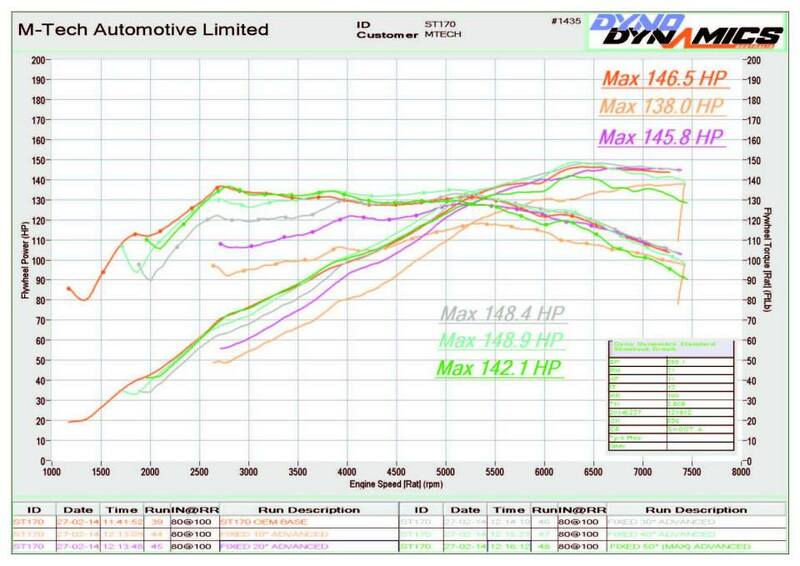 With hc pistons and modified Vvt cams we are now seeing 198bhp on std intake. I think this it about the limit of the intake system but it's a great engine now. Very torquey and easy to drive and pulling to 8000rpm . Indeed we are tracking the cam angle in relation to crank in real time with an accuracy on average bettering 0.1degrees (crank). The ECU is not reverting to an LOS operating mode with VVT control failure, that we can be sure of, seeing matching ignition adavnce and good AFRs, though indeed, we will be doing a better diagnosic run using an ST170 on carbs in the next week or so. How do you mean miles off in terms of advance angles? We are reading anglur position of the +1 tooth rising edge of the cam in relation to the missing tooth (virtual) on the crank, in crank degrees. 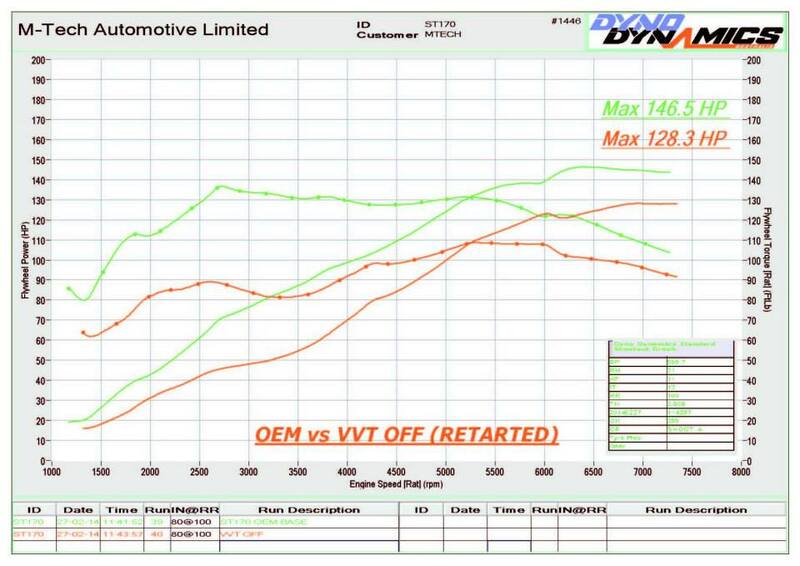 Get what you are saying, but true VVT control is the best method by and far improving over switch on or lockout methods, which was the aim of the system..
Run many St170s on the dyno, they all make circa 150bhp. its not really the point of how much power it makes, just that with correct control we can get BACK to the power the OEM VVT produces, without tailing off or missing low end torque, that was the aim of the experiment. yes i get that. my point was that if your tuning something that isnt right in the first place the same tuning may not be applicable to a healthy motor. if you happy that on your dyno they all give about 150bhp then all is well. gues at the end of the day its all about how the motor drives, and all the figures are good for is male organ measuring down at the pub, and comparison for such work as is being carried out here. iv'e been down a very rocky road with development on this engine, and started off with the on/off with the vvt, and that maxed at 163bhp, different rollers yes, but was all over @approx 5.5k if remember corectly, but gave good torque. i then went on to full vvt control, and gained 25 ish bhp on same rollers, but the car had totally transformed, pulled well, and peaked now @6.2k. the car also drove totally different, much friendlier. i appreciate the everyones rollers readings differ, but the given figures suggest to me that somethings amiss somewhere, even accounting for a discrepency with different rollers. i like the idea, as at the moment, there is no such option on the market as what matt is trying to achieve here, and would be a good item for many people, i had no such option when i got mine sorted! keep at it dude, you'll get there! I still maintain there is something wrong with the engine or sensors . I have only seen one ST170 that actually gave the claimed power. Others have been 140ish , due to an underlying issue. Exactly what we had with dyn car Gwyn's donor car when developing MBE to run Vvt. 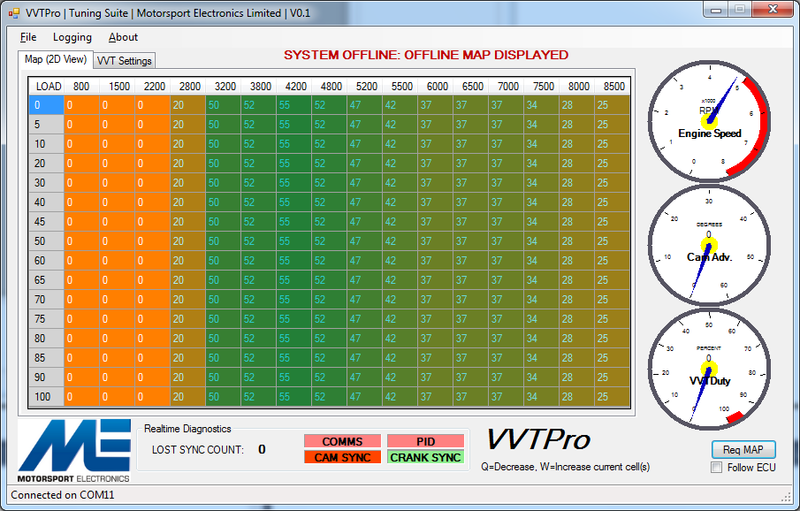 140 without Vvt working, 163 with switched Vvt 186 with mapped Vvt . I would need to look at the cam timing figures to see what difference there is between yours and mine but I do know that are considerably different to what you state . Just a little confused by your posts, in you oe post you state ( god knows what the oe ecu was doing to fuel and ignition) then on your reply state that you were monitoring fuel and ignition! I get your point, everything was in spec as far as we could see, but I mean that with proper mapping of fuel and ignition to accomodate for our odd timings we could probably get more power. The important point is we can hit OEM power levels accross the range, rather than limiting it. The tread title needs to be changed IMO as it's not the definitive ST170 Vvt information! It's a blatant ploy to promote the sale of goods before sufficient r&d has been done . Pug 206gti 180 makes about 155/160 everybody knows it.just manufacturers selling products. Dymo man. Ease up, last post sounds sour grapes. By all means have a poke around if there's stuff you feels not right, by god it needs someone poking around it cause I don't understand it... But if someone thinks about it and spends time writing it up and developing it all isn't that a good thing? 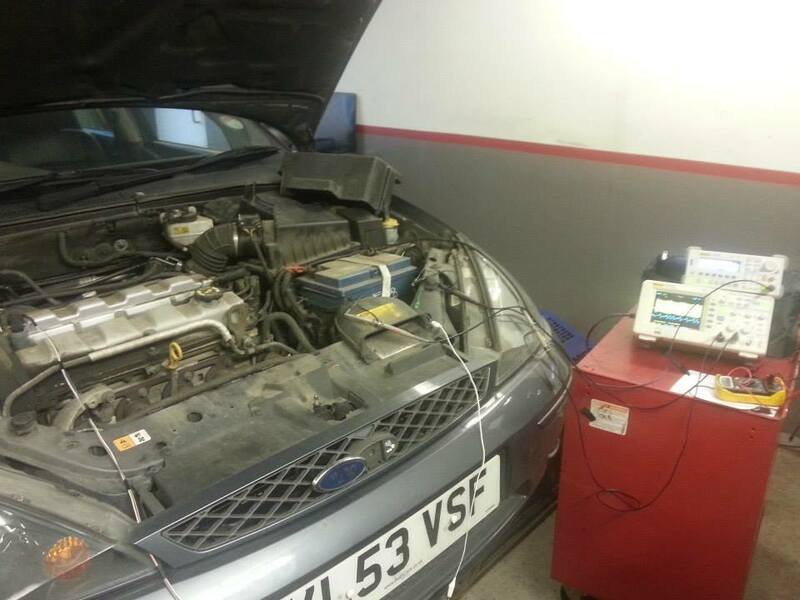 Dynoman.. why the hate, afterall here were your thoughts on VVT (another post on here)... £400 extra cost to control it... and thats on a £1400 ECU Hence us making this little unit...surely its a benefit to the world? Re: ST170 VVT setup with megajolt? Can i add my two penneth worth? 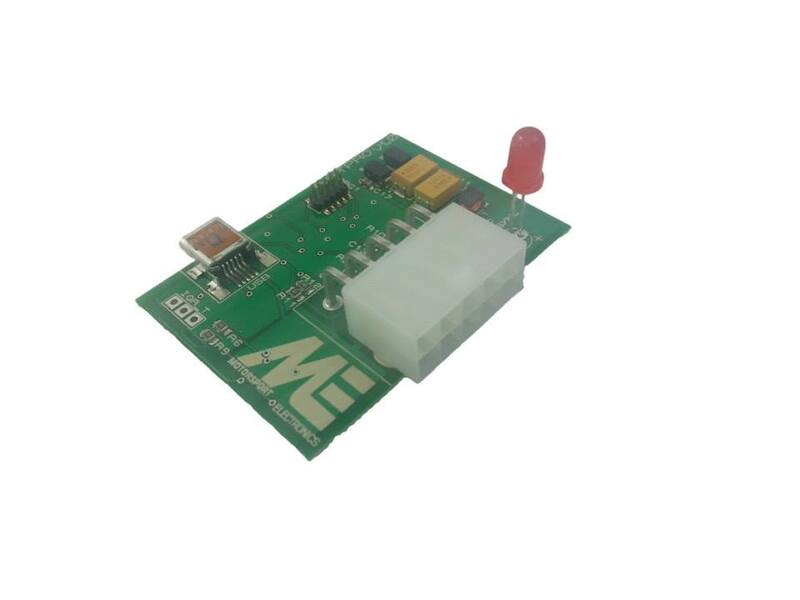 Firstly the additional cost of the ecu, which is £1400 all in with loom & VAT . Any decent ecu for a conventional engine is going to be the best part of a grand , so the extra 400 to get the best from you engine is not a big ask. Dyn-car-gwyn's car, has been my guinea pig and previous figures were uncorrected . My new setup and all figures hence forth are now corrected so basically we are still at the same power but with it hanging on for much longer with the ported head ( see my thread ST170). As i have said many times on here before, its a total waste of time not running the VVT correctly as the difference is some 25bhp! So effectively, for that extra £400, you are getting 25bhp! seems very good value for money on a n/a engine. 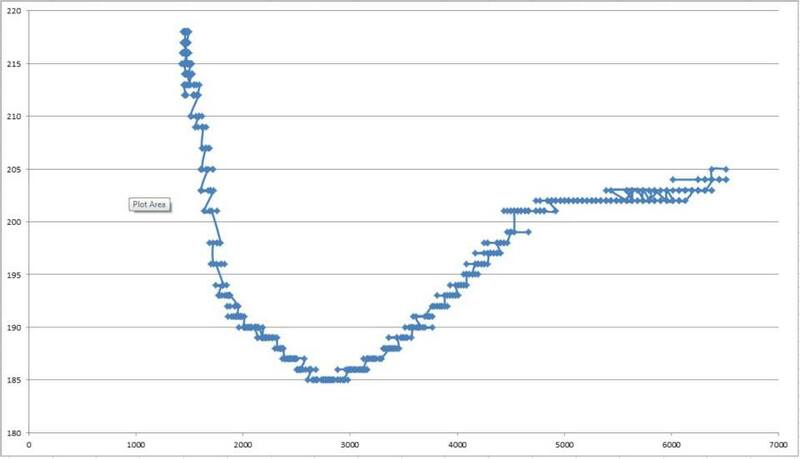 If i get time i will post the graph for the engine as it is , but on the other thread. FastFord want to run it as a 2 part article, and as it says, more to follow, ie testing on a differnt ST170 with carbs, as stated. Feel free to PM me so we can discuss if there is an issue as would prefer this post to be as per the title... VVT information. Last edited by mtechautomotive; 02-03-2014 at 11:44. Its certainly not sour grapes. I appologise, it was too heavy handed and uncalled for. Good tracking with a max error when rapid angle changes are requested of around 7 degrees, that settles almost instantly... certainly as good as OEM response of the cam! The below are the AMAZING RESULTS. 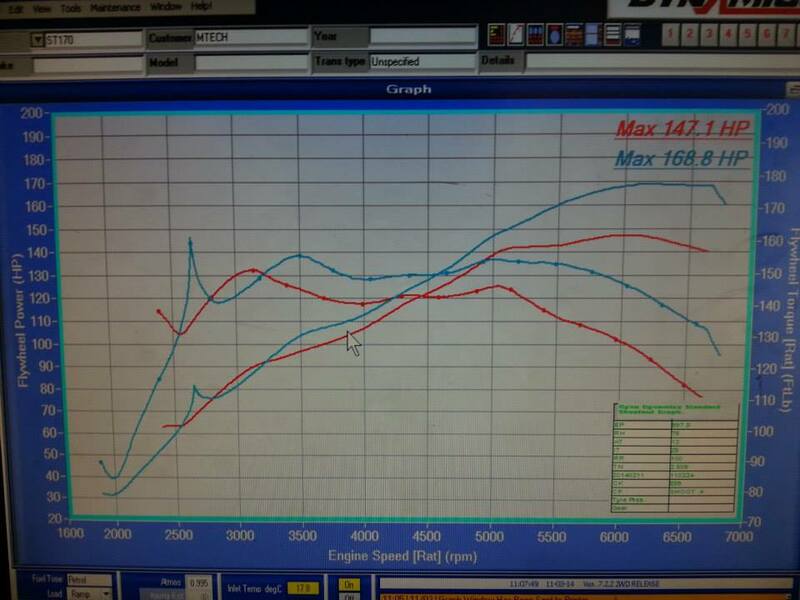 The RED is the normal switch on at 1500rpm Method, the BLUE line is running the VVTPro with a factory VVT advance curve. We never did any mapping, just plugged it in..
With finer PID tuning and more mapping we expect even more gains, but I think out of the box, that'll do donkey, that'll do! 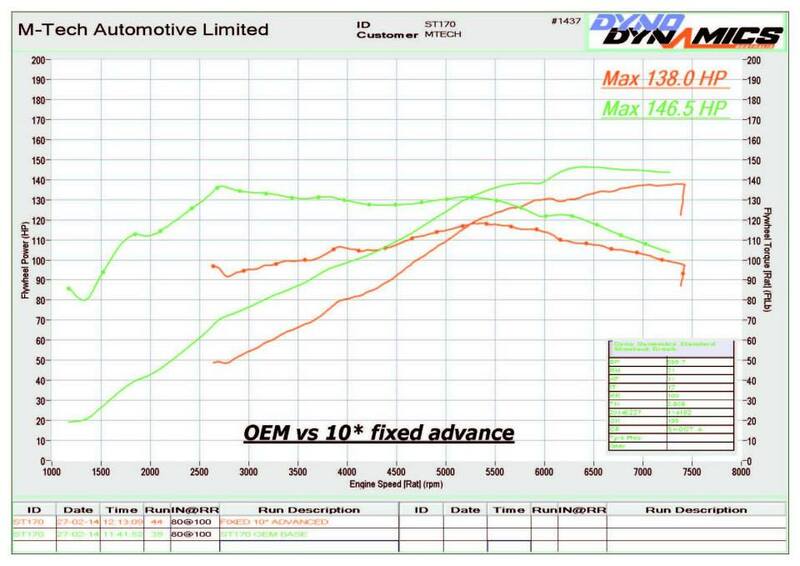 Last edited by mtechautomotive; 11-03-2014 at 12:35.
nice to see some progress, however, i was slightly disappointed to see the figures a touch low, especially with bike carbs, would expect to see around 190bhp. still, its progress! keep at it! i have no idea whether the bike carbs are suitable or how your rr is calibrated / compares to others etc, but the overall figures dont really impress ? 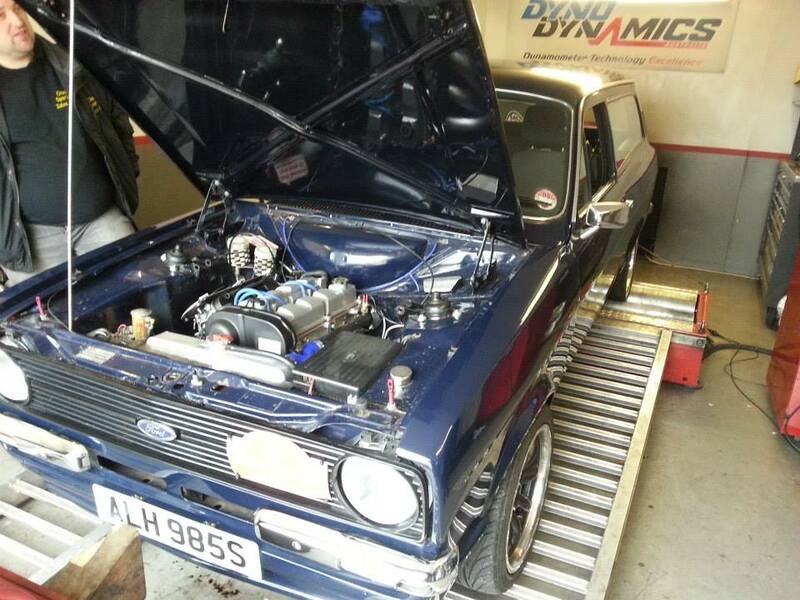 my understanding is that any decently tuned 2.0 zetec on webers and mapped ign will give 160 -170 bhp ? weber alpha kits for instance. You can see how bringing the cam advance back at hogher RPMs keeps the torque up, just like we illustrated in the first post by 'locking' the cam half way. Last edited by mtechautomotive; 11-03-2014 at 14:17. Fair comment but I'm sure that a graph from a properly optimised engine would better serve you. Having spent time and money on this engine, chasing the ponies, the figures given here are in keeping with the vvt now functioning correctly, i.e, @ flywheel, no vvt approx 140, switched on, approx 160, vvt correctly mapped, approx 185, all that on standard induction. Appreciate figures are pub talk, but they do seem to be a bit too far off. Like alladin suggested, an optimised standard engine would be a better bench mark. These are notorious for being finicky in standard guise. I think it's great that someone is taking the time and effort to research, and am sure you'll get there in the end. I'd expect to see that set up knocking on the door of 200bhp. Just realised, it should read not functioning correctly, I'm only making reference to past experiences. With throttle bodies, I would hazard a guess at 220 to230 brake. About the number of advance degrees vs rpm observed in the std engine, if we were to speak of the real in engine inlet opening and inlet closing points measured in crank degrees what would they be, ie when you say 30 or 40* "advance" you must mean from the fully retarded setting on the vvt pulley but what is the inlet valve timing or cam centerline angle in relation to the crank at any of these timing points out of curiosity? Last edited by RWD fords rule; 11-03-2014 at 23:03. Hi RWD, thanks for the post. You are right, it was based on advance from OEM rest position. As to actual cam timing, because I have never DTI'd one of these engines I cannot tell you the actual cam timing angles, but with that in mind if you have that data you should be able to work it out? Doing as you said with the jenveies etc in a few weeks time in a Mk1 we are currently restoring. So this manages to match a claimed ford 170 bhp. With carbs and stand alone ecu. Dyn has more on standard inlet with dynomans ecu. Isnt duncs standard st running 175bhp on carbs with a solenoid? Any dyno figure is worthless unless it compared to other set-ups on the same dyno and on the same day with same weather conditions! Torque is the important number and is something that can be measured not 'generated' using formula's, compensations, offsets and voodoo! Exactly, same day withint rhe 10 mins, just one run with it using 1500rpm switch on methiod using the NODIZ Output, and the next run using true VVT control... the gains have been illustrated. Takes me 3 minutes to plug in the Cam sensor, splitter cable to crank sensor and solenoid. As long as you are happy to adjust your carbs etc to handle the new found airflow (hell you will see the engine go lean, which is a big enough sign!) then lets go for it! Last edited by Rcdunk; 13-03-2014 at 11:56.